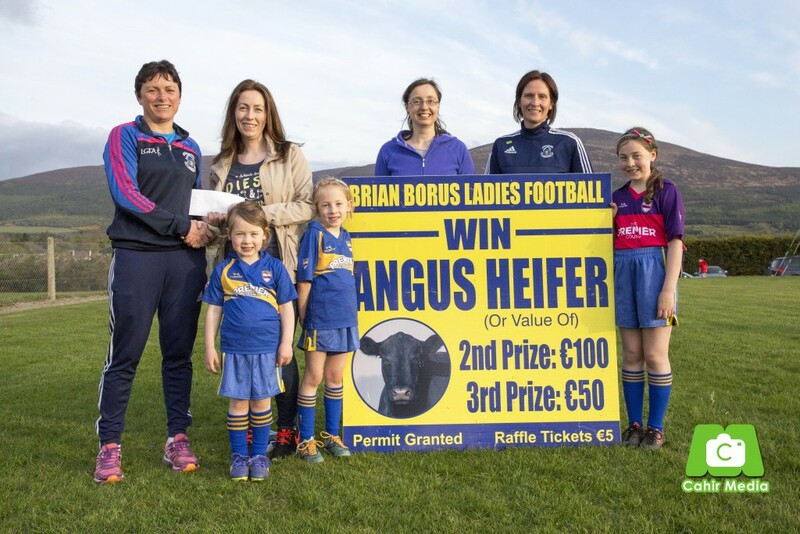 Brian Borus Ladies Football Club held their first annual heifer raffle on May 1st. They would like to thank Johnny Maher who kindly donated the heifer. Congratulations to Willie Casey Burncourt who won 1st prize, Ann O'Brien Clogheen 2nd prize and Mickey Cleary Anaglesboro 3rd prize. The first prize was presented to Willie's wife and children. Pictured are Orla Fleming Chairperson, Clodagh Casey, Sinead Norris Treasurer, Lucy Bateman Secretary, Holly, Allanah and Eirn Casey.